Headquartered in Helsinki, Finland, LocalBitcoin is one of the well-known platforms for the trading of Bitcoins. It is a Bitcoin startup company that brings buyers and sellers of Bitcoin together, giving them the freedom to fix their coin’s exchange rate and methods of receiving payment. The company was established by Jeremias Kangas in June 2012. 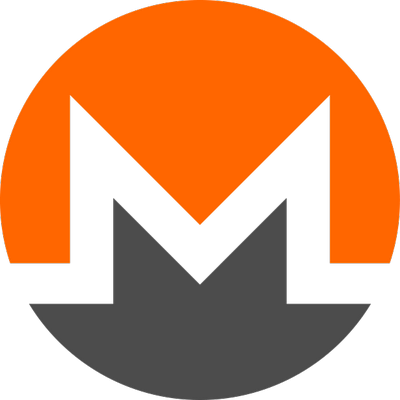 Bitcoin transactions on the site are on a peer-to-peer basis and they are secured with an escrow system. In the recent time, the platform has introduced SegWit wallets which, as expected by the company, will result in a decrease in transaction charges. In my review I’ll describe the whole process of buying and selling Bitcoins, features of peer-to-peer trading, technical sides of this exchange. Besides I’ll give you some tips and answer the common questions. But let me start this review by listing the pros and cons of using LocalBitcoins services in the table below. 1. Plenty of payment options. 1. Doesn’t accept traders from GE, NYS. 2. Low 1% fee. 2. Lots of fraudsters and swindlers. 3. Transactions are confidential. 3. Cash purchases have high charges. 4. Users view traders’ profile. 4. Difficult to operate for new members. 5. Accepts traders world over. 5. PayPal can reverse payment. 6. No limit on the amount of BTC. 6. Storing Bitcoin is a big risk. 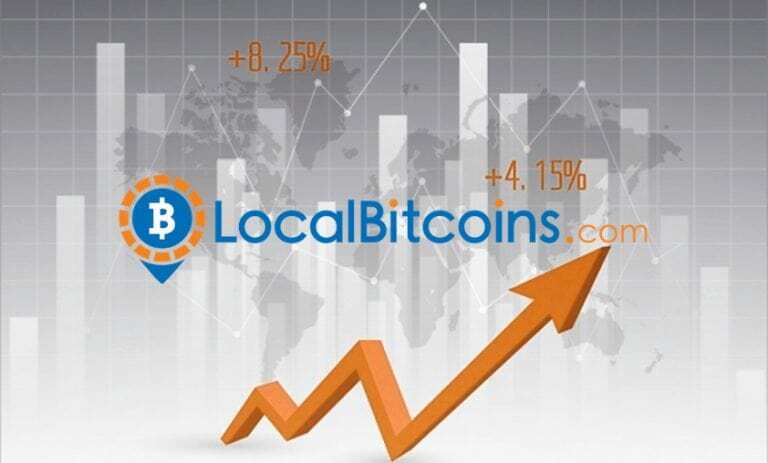 LocalBitcoins offers various services to members. First, their services are available in different languages such as English, French, Spanish, Italian and others. 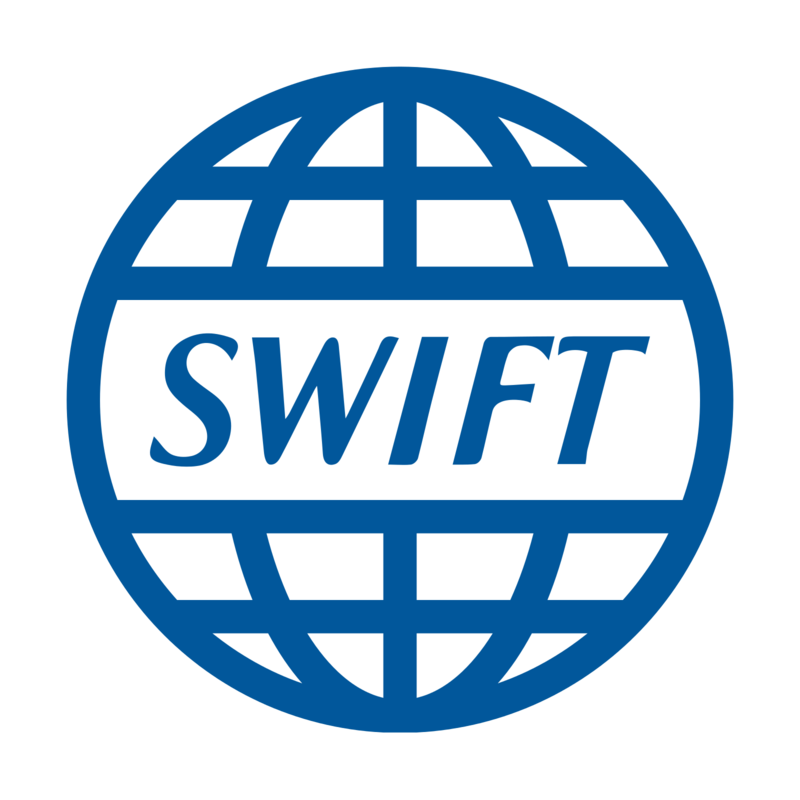 Apart from buying and selling, programmers on the site can avail themselves of the API tool of the site in building apps for the management of their accounts and querying the advertisements and the public trade data of LocalBitcoins. Furthermore, the exchange is one of the Bitcoin trading platforms that offer BTC ATM which does not require an Internet connection to work. The site also offers users the opportunity to earn more money via its affiliate programme. Block explorer service is also available in the site. 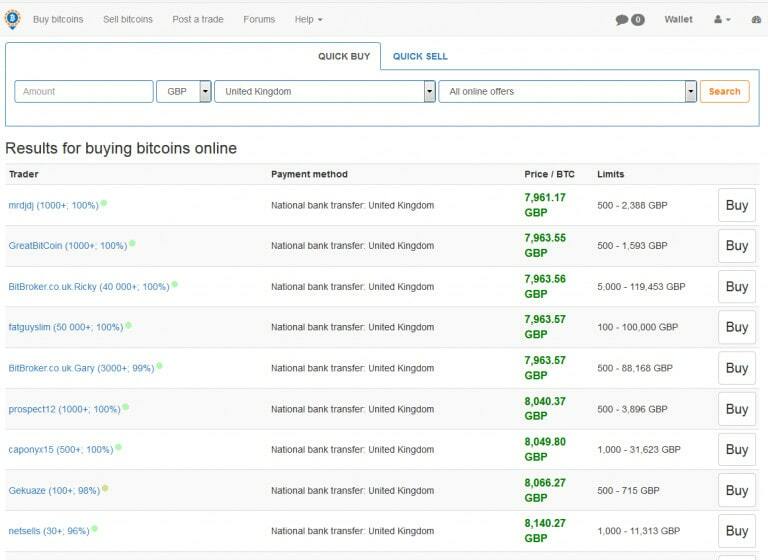 LocalBitcoins brings Bitcoin’s sellers and buyers across the globe together. It allows BTC traders living nearby to engage in a BTC deal physically with each other. It achieves this by showing all registered members living in the same location together. BTC deals can also be carried out through the Internet. It offers secure and safe trading services thanks to its escrow system where BTC order is held in escrow and released only when it is paid for. The escrow system secures the interest of both the Bitcoin’s traders. Unlike some other exchanges, LocalBitcoins accepts virtually all Bitcoins dealers across the globe. But traders from NY are not accepted as a result of BitLicense. It also does not accept German cryptocurrency traders. In countries where it operates, it is the numbers of dealers in the area (both sellers and buyers) that will determine its liquidity. Regardless of the type of Bitcoin transaction you want to engage in, you should take a look at the profile of your prospective customer. Check their reviews as well as the number of transactions implemented. Also, consider and examine their rating and how often they reply to messages. With this, you will be able to determine their credibility. Deal with individuals whose rating is at least 70% or more. Also, ensure that you buy or sell to a person that understands your language and has no problem receiving payment through a means that suits you. LocalBitcoin allows sellers and buyers to fix their own rate. So, to be able to give a reasonable price, it is recommended that you find out the price at which other traders are selling their coins. Comparing prices is a great means of determining the right price to sell yours. Another important factor to take into consideration when purchasing or selling Bitcoin is the amount of Bitcoins that you would want to purchase or sell. It is paramount that you compare it to what the buyer/seller has. Sign up with LocalBitcoins. Once you are signed up for the site, a safe online Bitcoin wallet will be made available to you free of charge. Signing up requires no application. Ignore this stage if you own an account before. Move over to the Buy/Sell page. There is a search box on the buy/sell main page where you should indicate the amount you would acquire, preferred currency, area and suitable means of paying for them. If no particular payment method is in your mind, select â€œall online offers.â€ A list of registered members within your locality will appear on your screen. Read the additional information. Before submitting your request for a trade, ensure that you go through the additional information that appears when the â€œBuyâ€ button is pressed on. The conditions for the trade are contained in this page. If these terms are not good for you, end the deal. Return to the initial page to opt for a more suitable advert. Put the amount. To begin a deal, indicate the amount you would purchase before contacting the seller through a message sent via the blue box. 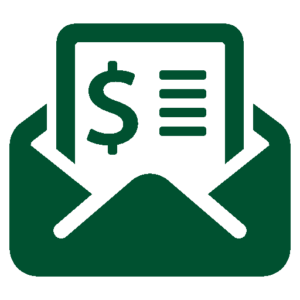 Seal trade by clicking on the button for â€œSend trade request.â€ Before clicking on this button, ensure that you have enough fund at your disposal to pay for your order. The trade will cancel if you are not able to settle for the deal within the time allowed. Notify the seller about the payment. Press on the â€œI have paid buttonâ€ to let your customer know that you have paid for the BTC in escrow. Your LocalBitcoin account will be credited immediately your client acknowledges your payment and releases what you paid for from the escrow system. A Peer-to-Peer trade is a type of deal between two persons without a middleman’s mediation or control or without involving the company on whose website the trade is carried out. In P2P, as it’s also called, the buyer and seller have a direct person-to-person transaction. Below are few benefits of this type of trade. With a double increase in trade volume over a year, LocalBitcoins is the biggest P2P BTC trading site. Its registered users numbering over a million are from 249 countries of the world. This implies that traders on the platform have access to a worldwide marketplace. P2P is a simple and fast means of trading Bitcoins. It has a reliable system for discovering honest traders. It boosts of a dynamic pricing system and offers users with lots of sources to help keep their prices updated on a regular basis. To create and put up ads that will be seen on the platform by other users, there are certain requirements that you should satisfy which include having a LocalBitcoins wallet with at least 0.04 BTC both for cash and Internet payment methods. For some means, you will be required to verify your identity before your advert will be seen on the platform by other users. As an advertiser, you will be charged 1% of the total amount of trade you place for it to be able to scale through. 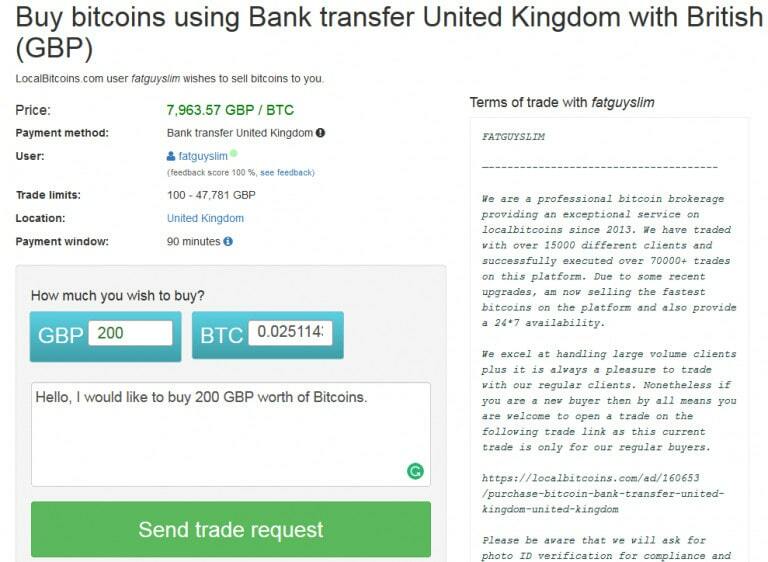 Brokering for any person or a business in any transaction is not allowed in LocalBitcoins. Only payment accounts created with your name may be allowed (using another person’s account may not be allowed). You are required to show evidence of what you have paid for in your trade chat or advertisement. Every correspondence including all interactions must be carried out through the website. Ways of paying for a deal ticked as high risk are associated with remarkable risk of fraud. Apply caution when trading. Verify any customer’s identity when using methods of payments regarded as high risk. 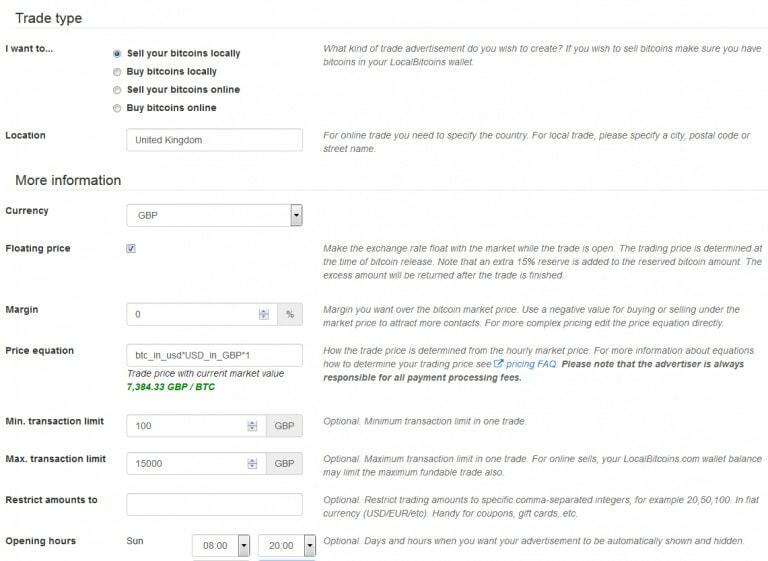 To create a Bitcoin trade advert, follow these steps. If you want to trade through the Internet, you have to indicate your country such as Japan, Russia, etc. But if you are trading locally, you have to stipulate your city, street name or postal code. The next thing is to specify your preferred trading currency like the USD, GBP or EUR. Also, indicate your preferred margin over the market price of BTC. To purchase or sell at the market price, utilize a negative value as it will help you to get more contacts. Make a direct adjustment of your price equation for more complex pricing. The price equation indicates how the trade price is calculated based on the market price per hour. LocalBitcoins has pricing FAQ questions where you will find more information about price equation. Sign up for an online sell advertisement. Fix the rate, select a payment method, indicate your limits and send a message that contains your terms to the person that you will be transacting with. Bankroll your account. Deposit your balance with sufficient BTC to enable users view and place trade request from your ads. Confirm the receipt of payment. The Bitcoin will be moved to the buyerâ€™s wallet from the escrow system. Leave your feedback to the buyer. Besides, request for feedback from them as well. You need feedback in order to grow your popularity on the site and obtain more trades. 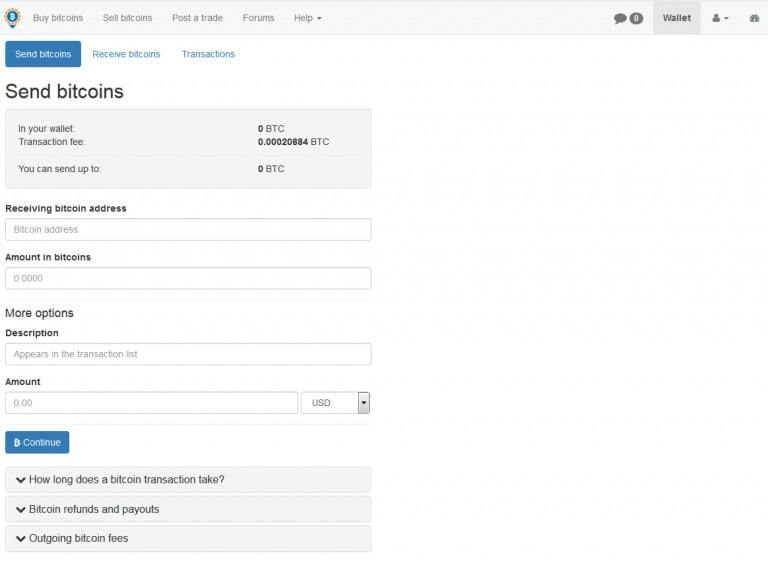 LocalBitcoins allows different payment methods. Your choice will depend on what is available in your locations. 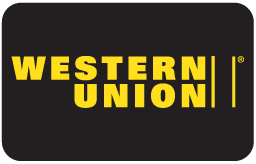 However, popular payment methods are cash on delivery, PayPal, Cash through the mail, Western Union, Webmoney and Wire transfer. Find out which are allowed in your country. Note that the steps provided above are for selling of BTC which is similar to the process of buying BTC. In the table below I provide just a few examples in popular categories like altcoins, credit cards, e-wallets. For more information go to website and find out what extra options you can use for payments. 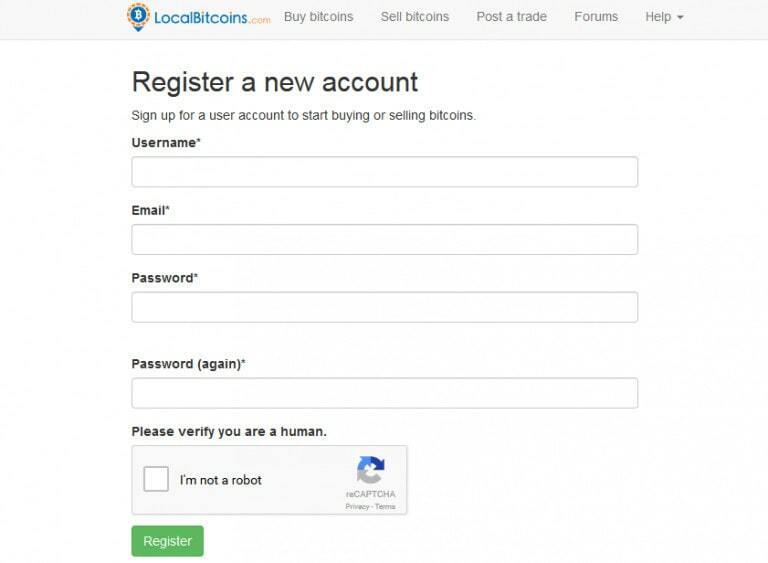 LocalBitcoins has an easy-to-use interface with a number of features that improve users’ experience. A typical example of such a feature is a “web notification” which when you trigger it will notify you when there is an action on your ads or when something happens on your trade. You enable it by marking the box for “enable web notifications.” Your web will seek for your permission to activate this feature, accept it to it up. You can also trade with your mobile device. To receive BTC into your mobile wallets, you have to scan your QR code which is your receiving address. But the problem with the mobile device is that it limits the number of ads you can view at a time. LocalBitcoins offers users with an API tool which they can use to create apps for managing their trade. But it will be difficult for you to use if you have no programming knowledge. LocalBitcoins has a well-secured and protected site. The company takes a number of measures to ensure their platform is well secured. First, you are required to sign into your account using your username or password. The system will also require you to mark a box to indicate that you are not a robot. 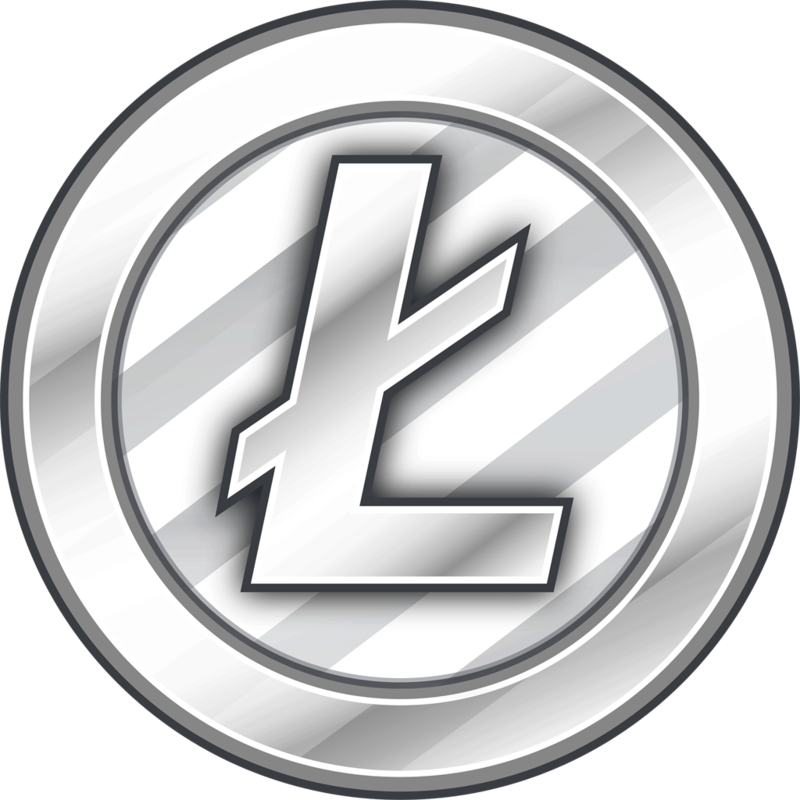 LocalBitcoins provides support services through a number of means. You can make enquiries via emails or by opening a support ticket. The site also has a FAQ containing important and commonly asked questions and answers to those questions. If your question or concern is not included in the list of FAQs, you can post it on the site’s forum. Members who have encountered such a problem will provide you with insight on how they resolved it. 1. What’s Receiving Bitcoin Address? The exchange offers traders with an address for each transaction to execute. Bitcoin purchased is sent to this address. Issuance of new addresses for new transactions makes it impossible for a scammer to look at the blockchain and trace all the payments you have received. 2. Does a BTC Transaction Take Long? Bitcoin transactions are completed instantly or within seconds if it is between LocalBitcoins wallets. But, if you are moving BTC in or out of your exchange wallet, it will take about 10 to 60 minutes for the transactions to be completed. However, congestions in Bitcoin network can delay a transaction longer than necessary. 3. How to Refund my Bitcoins? Refunds are sent to a receiving address. If you want a refund from a customer, you should provide your receiving address to the person as you cannot get a refund through outgoing Bitcoin addresses because they are not linked to your account. 4. What’s the Incoming and Outgoing Bitcoin Fee? Incoming and outgoing Bitcoin fees are charges deducted from your deposit when you send Bitcoin into your LocalBitcoins wallet and transfer BTC from your wallets respectively. 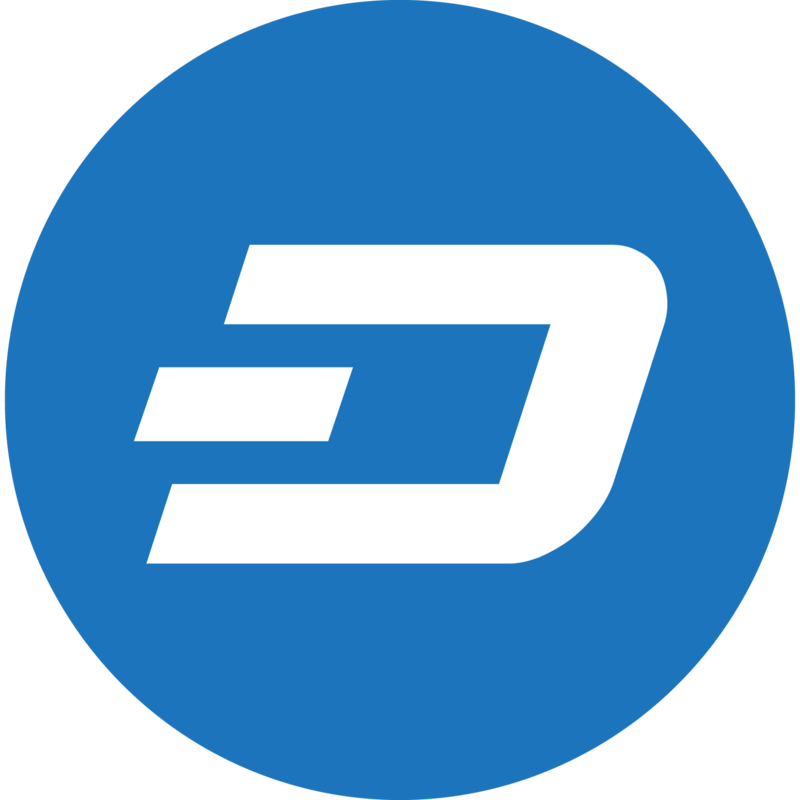 However, transactions to other user’s wallets attract no charges.